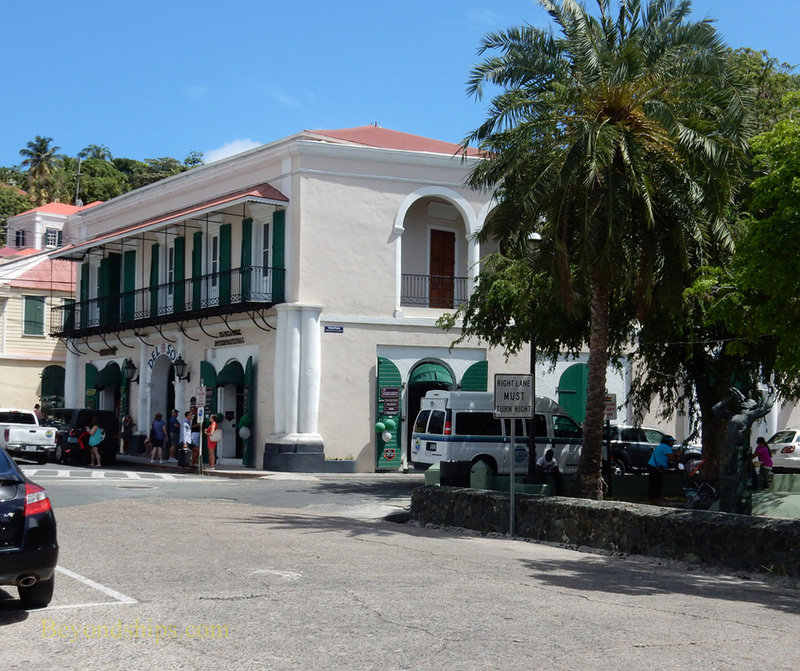 Charlotte Amalie waterfront has not always looked the way it does today. At one time, jettys and wharves jutted inland from the bay so that ships could load and unload their cargoes next to the town's warehouses. While several of the warehouses can still be seen today, the wharves have disappeared and the land reclaimed from the sea. ​One of these now-departed wharves was King's Wharf. 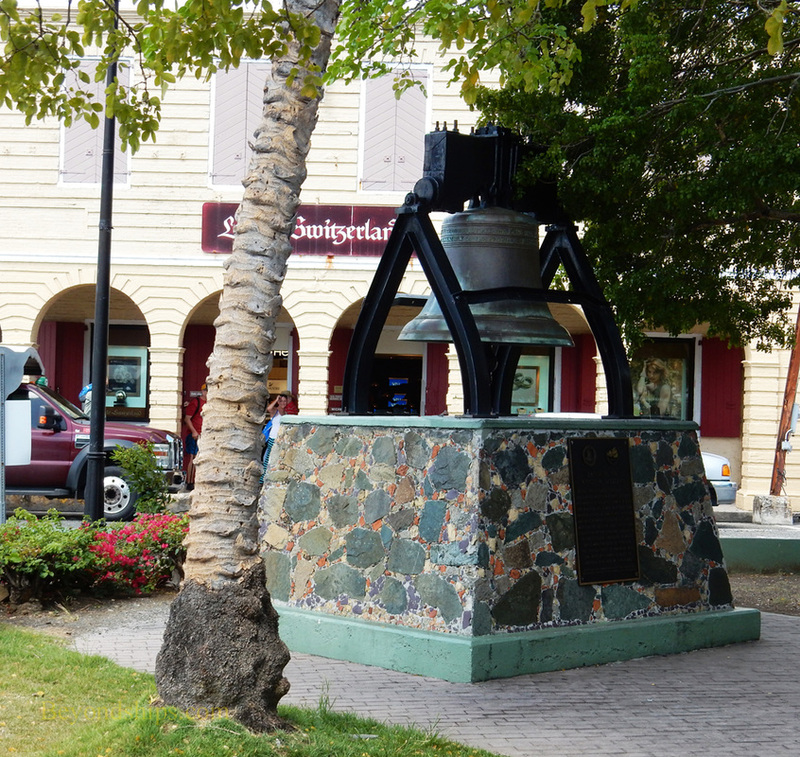 It was here that ownership these islands was ceremoniously transferred from Denmark to the United States in 1917. 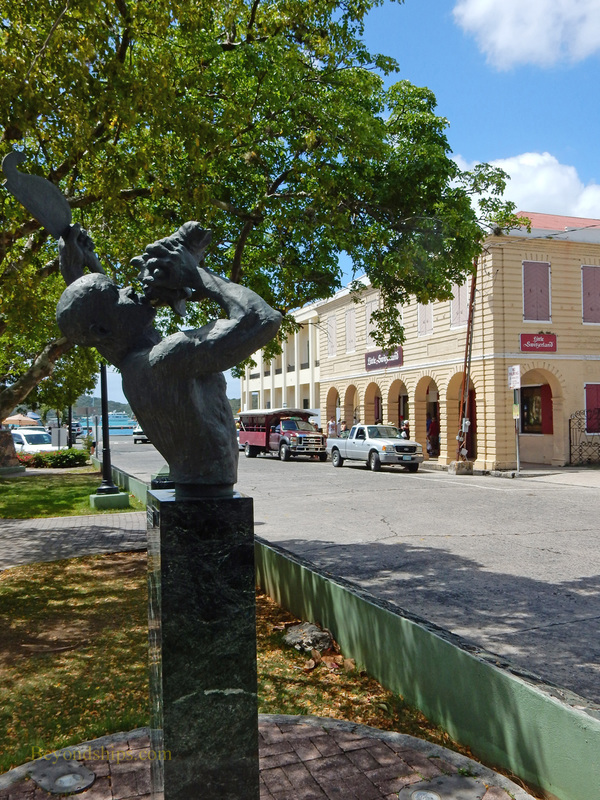 While the wharf is gone, there are still several historical sights and attractions in the vicinity of the old wharf. At the eastern edge of this area is Fort Christian. 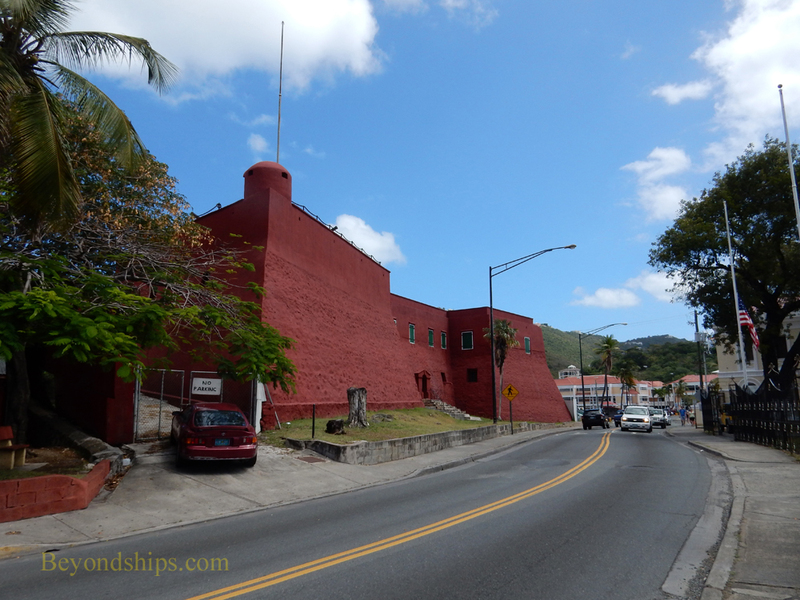 Built by the Danes, the Fort is the oldest building in the U.S., dating from 1680. Virgin Islands. 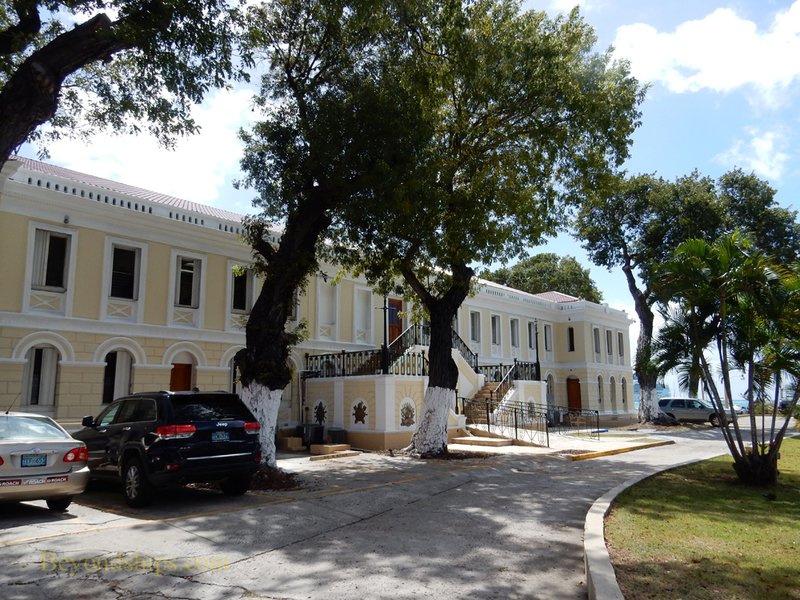 In the course of its long career, it has not only been a fort but a prison, a governor's residence, a police station and a courthouse. 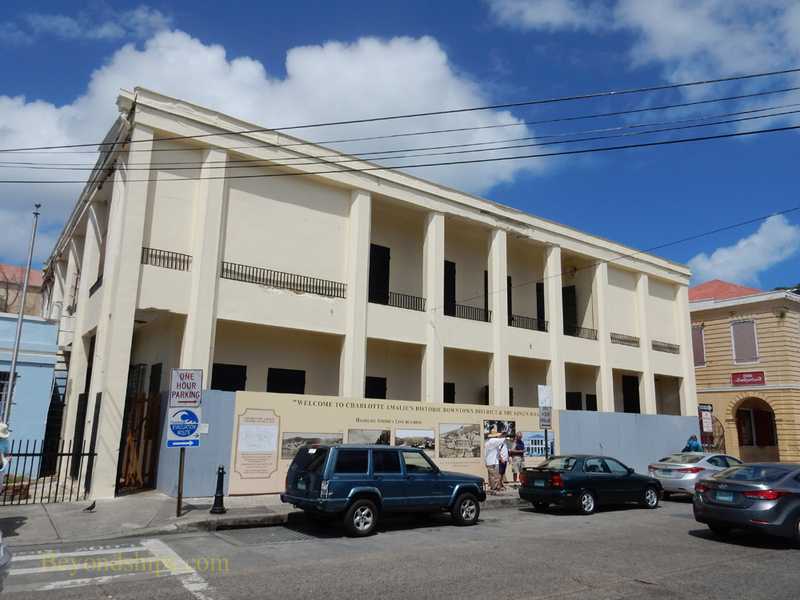 Now a National Historic Landmark, it has been undergoing restoration for over a decade. 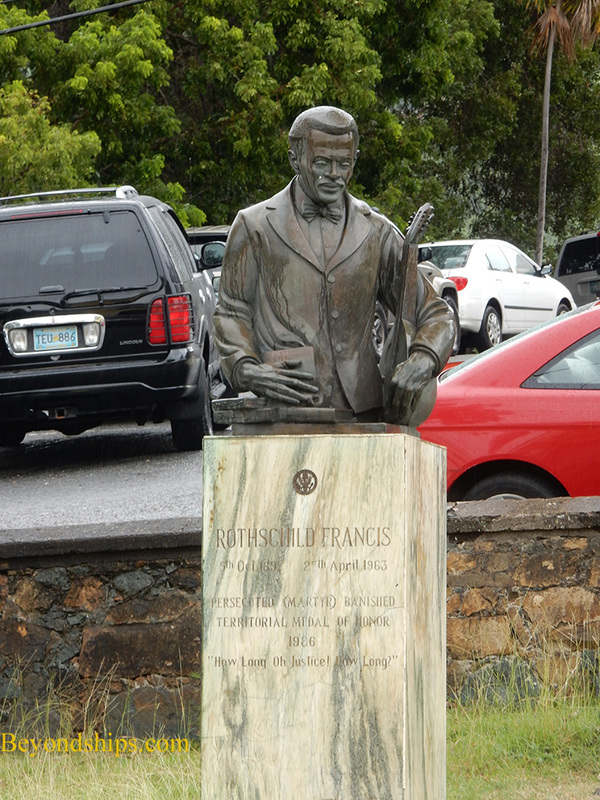 Across the road (Veteran's Highway) to the south of Fort Christian is the Virgin Islands Legislature Building (a.k.a. the Senate Building). 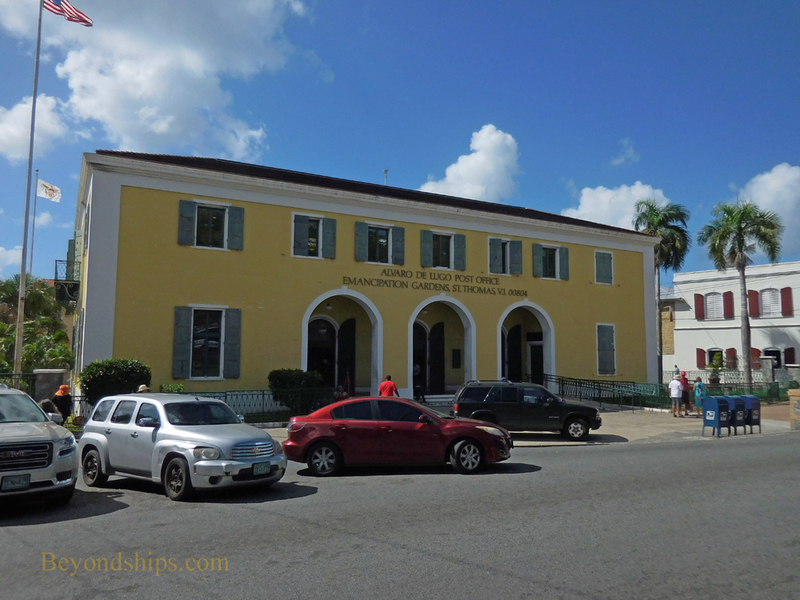 It houses the unicameral Virgin Islands Legislature, which has 15 senators and powers similar to that of a state legislature. This pretty building previously served as a military barracks for both the Danes and the Americans. It has also been a public school. 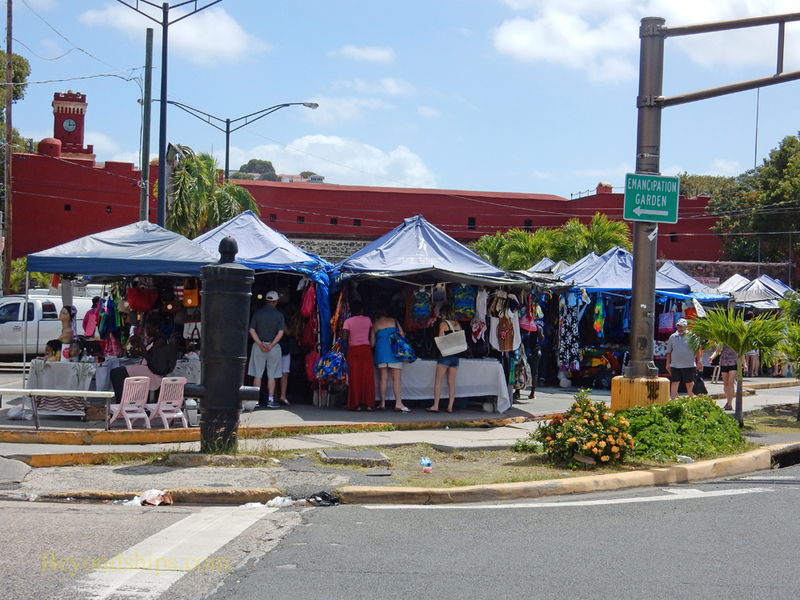 To the west of Fort Christian (i.e., towards the commercial district) is Vendors Plaza an open air market. 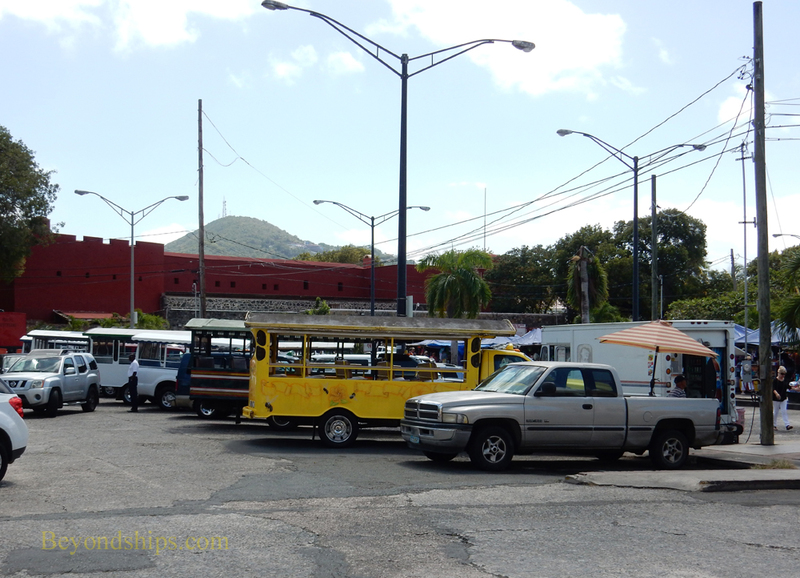 Taxis (i.e., safari trucks) can often be found in the parking lot behind Vendor's Plaza. North of Vendor's Plaza beyond the parking lot is Emancipation Park. 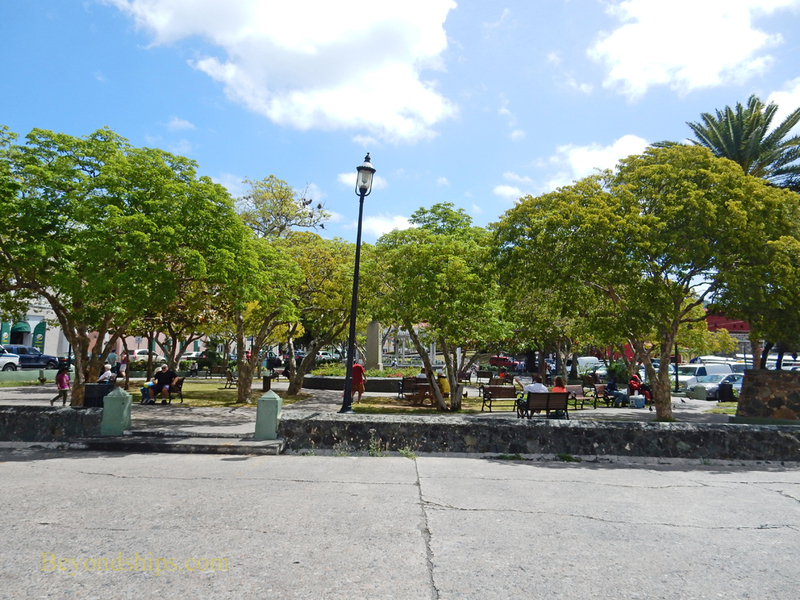 This green space is where on July 3, 1848, a proclamation was read declaring the emancipation of all slaves in the British West Indies. To the north of the park is the Grand Galleria (above left). 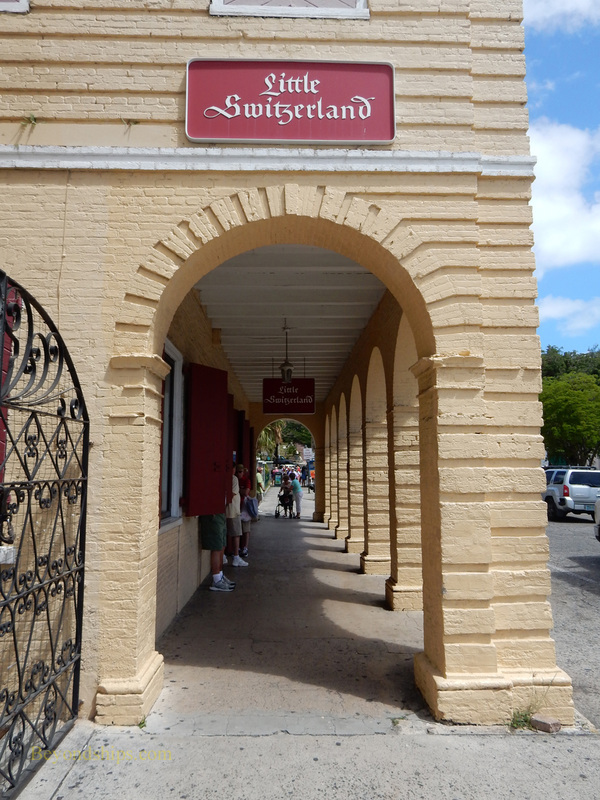 It began life in 1837 as the Commercial Hotel and Coffee House and was once the grandest hotel in St. Thomas. It deteriorated over the years but remained a hotel until 1975. Today, it houses shops. Another historic building is the former office of Hamburg America Line, which is to the west of Emancipation Park (above right). 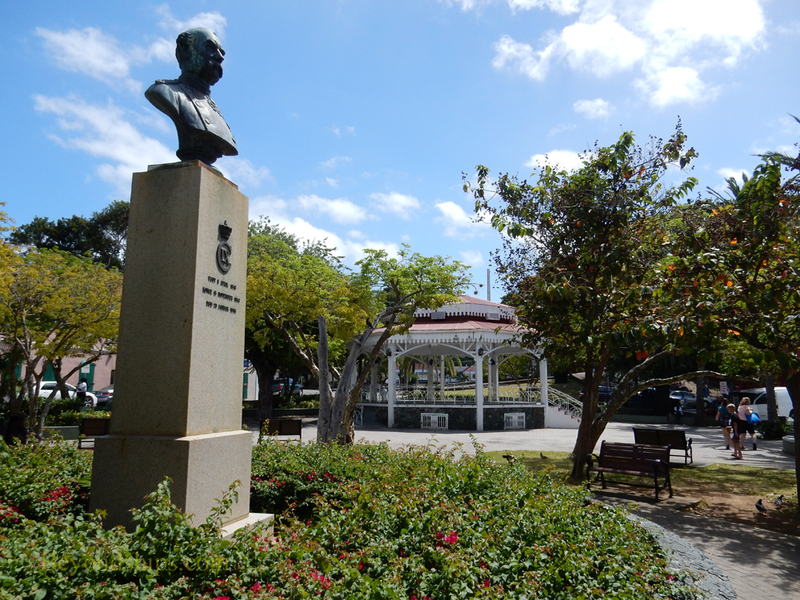 Across from the Grand Galleria is the Alvaro de Lugo Post Office (or Emancipation Garden Post Office). 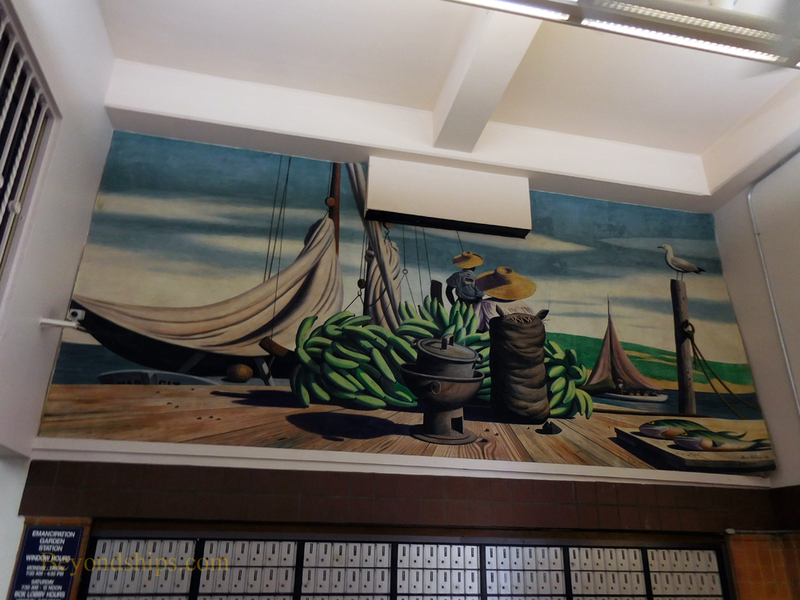 Dating from 1937, it contains Depression-era murals by Steven Dohanos, who achieved notoriety for the work he did for the Saturday Evening Post magazine. 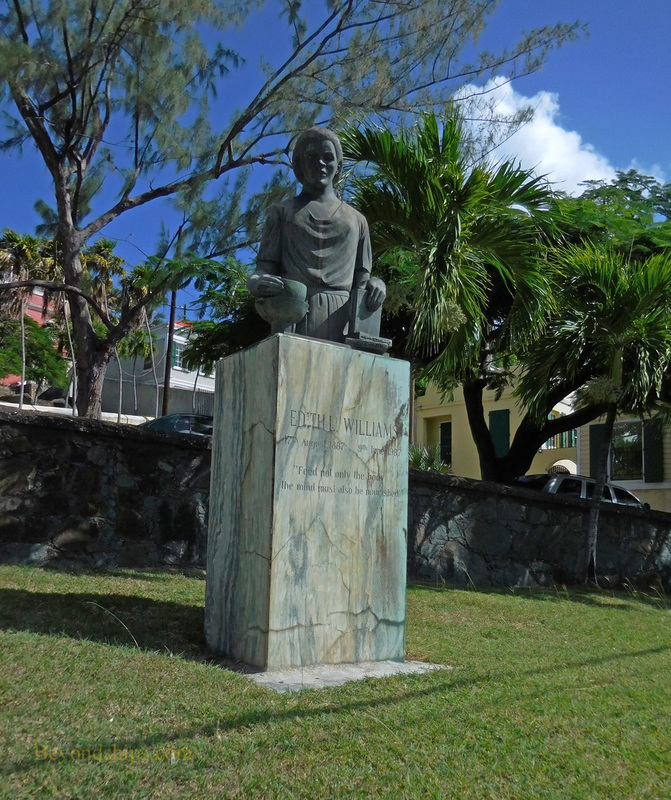 These two murals were commissioned by the U.S. government and depict the significance of the Virgin Islands to the outside world and the atmosphere of the islands. 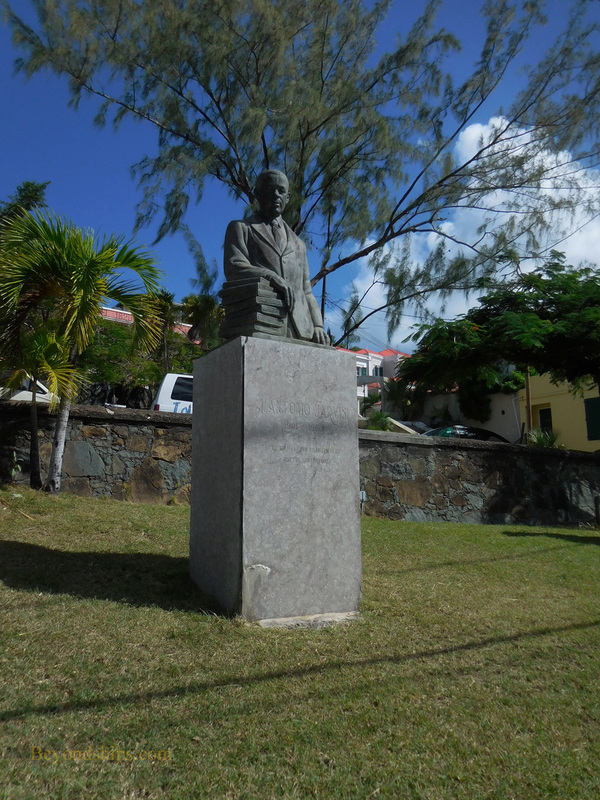 Opposite the post office are statues three people who played significant roles in the development of the USVI: Edith Williams, educator; J. Antonio Jarvis, educator and author; and Rothschild Francis, civil rights leader.